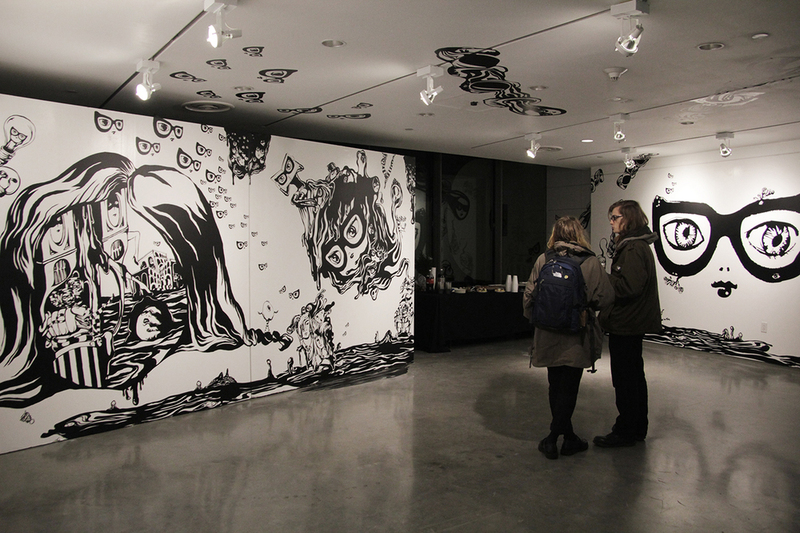 "To See , To be seen" is an installation that includes a series of mixed-media vinyl cuts using digital software and hand drawings with a sarcastic, humorous and surrealistic style. It includes three main abstract characters named 'Observer',‘Observed’ and 'Observee'. This project shows their watching, being watched relationship among these characters in their own surrealistic world. This piece was installed at Pratt Digital Arts Gallery.